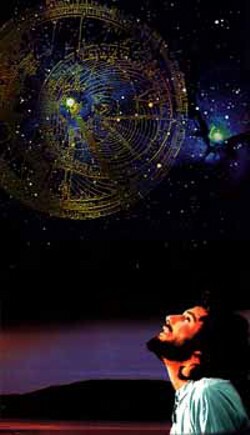 DYS: “Dude, so Cat Stevens gave away all his money, converted to Islam, and changed his name to Yusuf Islam”. DYS: “Yeah man, I guess that’d be like changing your name to, like, John Christian or whatever”. Now every time I think of Cat Stevens I hear a little voice in my head saying “Ricky Jehova’s Witness!” and it totally makes me laugh. You could say I’m being disrespectful of Stevens’ (Islam’s) life choices, but to be honest with you I think that “Spencer Christian” has a nice ring to it, so I might change my name too. I’m not renouncing all my worldly possessions though. I’m no dummy. My collection of old Sweet Valley High books might be worth something someday*, you know. *They will never, ever be worth anything. Anyway, when it comes to Stevens’ (Islam’s) music, I am totally divided. I love some of his songs (‘Morning Has Broken,’ ‘Another Saturday Night,’ ‘Father and Son’ — which always, always makes me cry) but others annoy the f*ck out of me (‘Wild World,’ for example, literally makes me want to punch myself in the face). However, my very favorite Stevens (Islam) song is this one, ‘Trouble’. The lyrics are so sad and dejected, and yet the song is somehow uplifting. You can hear the weariness in his voice during the verses, but then all of a sudden he’s got this amazing harmonizing thing going on and it sounds so pretty and hopeful. It’s the perfect song to listen to when you’re feeling down…in fact, I’ve always thought that it was written about depression. Maybe I’m wrong, I don’t know, but with lines like “You have made me a wreck / Now won’t you leave me in my misery” I have to think that he’s pleading with the “black dog” of depression (as Winston Churchill so aptly described it) to move on and let him be. Anyone who has experienced a depressive episode will be able to relate to this sentiment, the feeling of being “Shattered and tossed and worn,” and the desire to have the cloud lifted. But even if you’re not sad, it’s a great song — simple yet eloquent, haunting yet hopeful. Have You Ever Felt Yourself in Motion? Here’s something that people don’t tell you when you’re a kid: life is hard. And the older you get, the harder it gets. I don’t mean to sound like a total downer, but being in your teens and early twenties seems relatively easy compared to what comes after that: the daily grind of a job, the burden of mortgage payments and other debt, the pressures & responsibilities of family life. Anyone who’s in their teens and twenties right now and reading this would probably argue vociferously with what I’ve just said, and they wouldn’t be wrong. Whatever stage in life you may be in, if you’ve been hit with something difficult, it’s hard. I don’t mean to discount that. And I’m not trying to ignore the fact that there are lots of people out there who would be overjoyed to even have a job, no matter if they didn’t love it, or people who would be happy to have a mortgage because that meant they could afford to buy a house in the first place. There’s a part of the population for whom neither of these things are a possibility at the moment. I’ve had a lot of conversations with people lately about the concept of personal happiness. I don’t know what it was like for my parents’ generation, or my grandparents’, but it seems nowadays that there’s this expectation that you should feel happy and personally fulfilled all the time. D’you know what I mean? It’s like people can’t cope with feeling down or unhappy or blue. This is problematic if you’re someone who’s prone to anxiety or depression — not only do you experience those feelings, but on top of that you feel like there’s something wrong with you for feeling them. Right? If you’re tired of worrying, tired of trying to manage everything so that things turn out “right”, tired of trying to live up to expectations of what your life should look like rather than how it actually is, then here is a song for you. 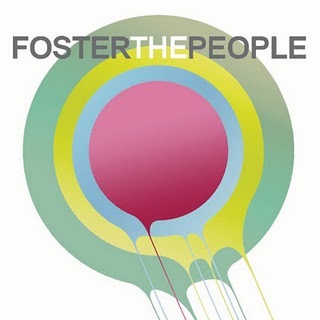 I’m a fan of the whole album, Baby I’m Bored, and I think this song in particular has a nice little message in it about just inhabiting the space where you are, in the moment, and not being afraid that the world around you is always changing. In 1992, Michael Jackson embarked on his Dangerous world tour, which ended up being his second-to-last tour ever and attracted 3.5 million fans over the course of its two years. 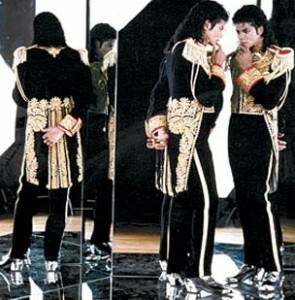 At the time, I wasn’t a huge MJ fan. I had loved him as a kid, but by the time I was seventeen I considered myself “too cool” to be into his music. Somehow, though, my best friend’s parents got free tickets to the show in Singapore (where we were living at the time) and she invited me to go with her. Our seats were CRAZY good — like, unbelievable. Second row, centre. Yeah, I know. Apparently MJ had a special deal in place that the first 10 rows or something like that were reserved for fans under the age of 18. Anyway, the show was AMAZING — the best I’ve ever seen. It completely blew me away. I had forgotten how many great songs were in his repertoire, but it was more than that. It was a completely flawless performance, and I say that with honestly no exaggeration. It was note-perfect down to the very last detail — Jackson’s singing, his dancing, the choreography, the lighting…everything. You could tell that he must have put an unbelievable amount of time into rehearsing, but it all came off looking smooth, effortless…perfect without being rote or robotic. I came away from the show shaking my head in awe at the sheer amount of talent that the guy possessed, and I never forgot his performance. I feel lucky to have seen an artist of such stature at the peak of his career. As we now know, the years following that tour were not kind to Michael Jackson. Allegations of child molestation led to a highly-publicized trial that took on the feel of a circus freak show. MJ’s final years were marked by increasingly erratic behavior and a dependence on prescription drugs, surrounded by a coterie of sycophants and enablers. His death in 2009, at age 51, provoked an outpouring of grief in the media as people remembered the “good” side of him — innovative creative genius, magnificent performer, humanitarian. Jackson’s lasting legacy is a top-notch body of work. But when you think about everything he accomplished its hard not to view it all within the context of the high price he paid for success. Any semblance of a normal childhood was sacrificed in the pursuit of perfection. Driven by an overbearing stage father, his grueling life as a child star paved the road for personal unhappiness in his adult life. On the other hand, watching him perform up-close, the absolute joy he felt being onstage doing something he loved was obvious…so there’s that. I’m not really saying anything here that hasn’t been said before, but I’ve been thinking about MJ recently because I’ve been listening to this song a lot. I love this song. I think it’s his best — at least, it’s my favorite. I’ve been thinking a lot about change, too. So often in life, change is thrust upon us. After all, the only thing that ever stays the same is the fact nothing ever stays the same, right? Oh, the irony. But sometimes the type of change that is necessary has to come from within, and that’s the most difficult. Have you ever looked at your life and realized that something needs to be different, but you’re not sure exactly what, and you don’t know how to make it happen? What do you do? I wish I had the answers. I think MJ was on the right track here though. I guess, in the end, if you want to make a change there is only one place to look: in the mirror. If you like what you see, you’re lucky. If not…well, at least you know where to start. Do you remember where you were on April 20th, 1999? I do. I was lying on a couch at my then-boyfriend’s house, having just had three of my wisdom teeth removed. I was flying high on laughing gas or whatever it is they give you for dental procedures (side note: it’s amazing). The BF was in the kitchen making me scrambled eggs and had switched on the TV to the local news channel. I was barely paying attention, until I started to focus in on what was happening on screen and realized it was absolutely the most freaking bizarre thing I had ever seen. A couple of kids had gone on a shooting rampage in the States and I was watching in real-time as the news cameras were trained on the school, capturing images of students and teachers jumping out of windows and the scenes of general mayhem and panic. The audio was a constant loop of the 911 calls that were being made by students from inside the building. The palpable terror in their voices was gut-wrenching, heightened of course in my doped up state. It was one of the most surreal things I have experienced, and I was nowhere near the scene of the crime. I can only imagine what it was like for the people who lived through it, and for the families of the victims. The incident in question, of course, was the Columbine high school shootings, a truly sobering day in recent(ish) American history, and noteworthy on a few levels. First of all, it was the end result of years of bullying, a reaction to persecution played out in violent extremes. Let me be clear: I’m not condoning the actions of the shooters. Making the decision to murder innocent people in cold blood could never be anything other than callous and cowardly. However, there were real events and incidents that led to that decision, and those should not be discounted. Secondly, it was one of the first fully televised news events to unfold on screen in real time. People forget that up until Columbine, you didn’t really see the news as it was happening. There was the OJ Simpson police chase, of course, but other than that you usually heard about things after they occurred. To be watching the events of April 20th live was nothing short of astounding(ly horrible) at the time. I’m currently reading a book called “Oasis: The Truth” by the band’s first drummer, Tony McCarroll (to be reviewed shortly), and it’s putting me in a ‘90s frame of mind. I remember so clearly when ‘Definitely Maybe’ came out…it was the fall of 2004 and I had just started university. As I was a mere 17 years of age, I had to resort to using my roommate’s ID to get into bars. This would have worked perfectly (we actually bore a passable resemblance to one another) except for the fact that my roomie and I became instant BFFs, so we rarely went to bars separately. Not surprisingly, trying to get past the bouncer with an ID bearing the same name as the person who has just gone before you is rarely an effective tactic. Fortunately, the floor we lived on in residence quickly gained notoriety as one that excelled in booze-fuelled shenanigans and drunken revelry and we threw some pretty kickass parties at home, which saved me from having to go through the whole ID rigamarole too often. Even though we were an all-girls floor, we definitely raged as hard (or harder) than some of the male-only residences. I remember the first time I heard this song because my friend Michelle always made amazing mixes and she put it onto the mixed tape for our first party of the year. Ever since then, this tune has reminded me of the excitement I felt being away from home, meeting new people, and feeling the freedom to be myself (“I can’t be no one else”). It also reminds me of standing in a dingy residence hallway drinking disgusting alcoholic concoctions (Purple Jesus, Blue Lagoon, etc) out of plastic cups. By ’94-’95, grunge fashion was slightly on the wane and we were all wearing miniskirts or little dresses with those awful thigh-high tights. In retrospect we looked like idiots but at the time I just remember it being such a period of optimism and new adventure, living in an unfamiliar city, staying out ‘til the early morning hours drinking coffee with boys in all-night diners, sleeping through morning classes, rolling into the dining hall at noon with a raging hangover — and loving every single minute of it. I still get a little thrill of excitement when I hear the opening bars of this song, and I miss those carefree days of being a student (let me clarify: I don’t miss the homework, but I do sometimes long for the days of total lack of responsibility). Tomorrow is my birthday, and I will be over twice the age I was when I first heard this song. Yes, it’s been eighteen years since I stood in that hallway downing jello shots, blissing out on mid-’90s Britpop (Oasis, Blur, Pulp, Supergrass, Elastica, etc) and dancing all night. Unlike the bands we were listening to, we weren’t under the influence of any illicit substances (other than some underage alcohol consumption of course) but we didn’t need to to be. The music and the joyful folly of youth were enough of a trip on their own. 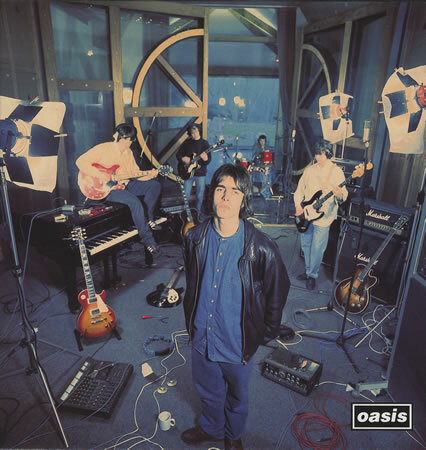 So my Song of the Day today is a ’90s classic, ‘Supersonic’ by Oasis. Happy Birthday to me! I’ve been thinking about the ‘80s a lot lately. I mean, I always think about the ‘80s, because I am obsessed with them. But I’ve been thinking about them even more than usual, because I’ve been reflecting on my childhood and realizing that I had it pretty good as a kid. I know people argue that nostalgia is a lens that makes the past look better than it actually was, and they’re not wrong — but you guys, growing up in the ‘80s was pretty awesome. I mean, I was too young to be worried about the economy, or Reaganomics, or doing too much coke. No, for me the ‘80s were all about ALF, John Hughes movies, sitcoms starring Michael J. Fox and Jason Bateman, and sleepovers where we listened to Debbie Gibson and experimented with blue eyeshadow (bad) and crimping our hair (worse). When people think about the ‘80s now it’s reduced to stereotypes — everyone was running around in acid-wash jeans and neon socks with new-wave hairdos. This is sort of true. I remember owning a lot of day-glo clothing and loving it. I also had an acid-wash jean skirt (ruffled no less!) that was my pride and joy. But the ‘80s were a lot more nuanced than we give them credit for, and there was some pretty rad stuff going on. I read a great book recently, Ready Player One by Ernest Cline. It’s set in 2044 and the world is looking pretty grim. A series of climate crises have ravaged the earth and the general population is living in crippling poverty. Most people spend almost all of their time plugged into a system called OASIS (like the Matrix, but people are actually aware that it isn’t reality) that was designed by an eccentric billionaire obsessed with the ‘80s of his childhood. When he dies without an heir, he leaves a series of clues to his vast fortune hidden within the OASIS, and each clue requires those seeking his treasure to be well-versed in ‘80s pop culture. I won’t say too much, but check it out if you get a chance & are so inclined — I couldn’t put it down. Anyway! As much as I loved the ‘80s of my childhood, I can’t help but be a bit jealous of the Finn — I was a mere youngster during that decade (I turned 14 in 1990) but the Finn was an actual TEENAGER in the ‘80s! When I look back through hid photo albums it’s all there — prom pictures featuring girls in pink and blue pastel puffy-sleeved dresses, the guys decked out in white ruffled tuxes. The hair is simply amazing — new wave, mullets, hair-sprayed bangs for the girls, and even one adventurous friend with a mohawk. Everyone just looks like they’re having so much fun — and yes, I know, nostalgia is a lens — but I’ve asked the Finn, and he tells me that they were having fun, that high school in the ‘80s was awesome. Those halcyon days before the advent of grunge and the inherent angst and apathy of the ‘90s. Don’t get me wrong, I love the ‘90s too, they were the decade that saw me through my teenage years and young adulthood. But the ‘90s bounced from one extreme to another, from the too-cool-for-school pessimism of grunge (everyone’s a sellout! damn the man!) to the soulless cheese of Spice Girls and Backstreet Boys-era pop. And don’t even get me started on the age of irony and contrarian hipsters that the new millennium has spawned. 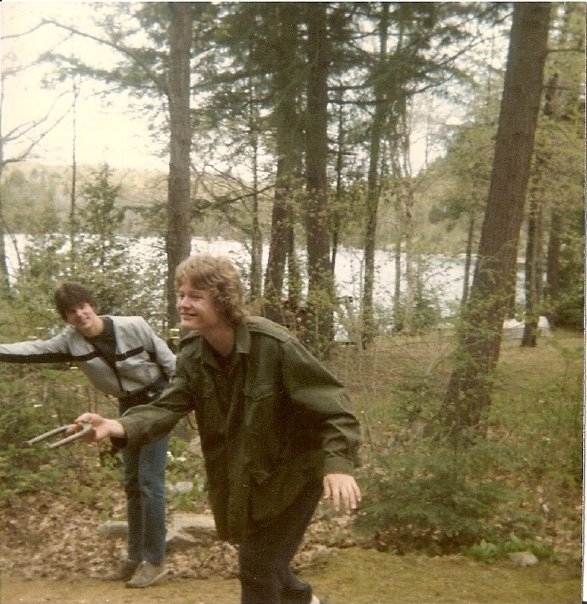 The Finn as a teen. You know why he's so happy? Because the '80s rule. Anyway, my favorite stories of the Finn’s are the ones about his high school dances, where everyone in his group of friends would pile onto the dance floor as a collective group and sing along with the words to Roxette’s ‘The Look’ or Gowan’s ‘Moonlight Desires’. Apparently everyone knew the moves for Men Without Hats ‘Safety Dance,’ and when to do the hand claps during Kim Carnes’ ‘Bette Davis Eyes’. How awesome is that? I picture it as a utopia of synth riffs, dance beats, and unbridled enthusiasm. And yeah, maybe I am idealizing the past. But I’ll tell you this: if anyone ever gets around to inventing a time machine, I’m setting the dial back to 1985 and hightailing it to the nearest high school prom. Maybe I’ll see you there. I’ll be the one in the white suit, pink shirt, skinny tie and day-glo socks. 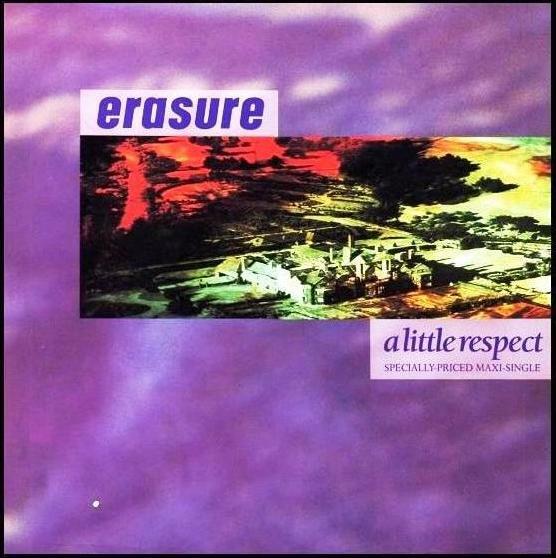 In honor of the ‘80s, my Song of the Day is one of my faves from that era, Erasure’s ‘A Little Respect’. See ya on the dance floor! I hope that everyone had a good holiday weekend! The Finn and I were out of the city, at his dad’s cottage in Haliburton. It’s a beautiful spot. On Sunday night we sat around listening to old 45s and drinking shots of Grand Marnier, which is actually really good, you guys. I totally thought it’d be super strong and difficult to drink, but it turns out that it’s quite delightful. Or maybe I’m just an alcoholic! No matter. Anyway, as you may recall, a few weeks ago The Finn’s dad called me out for not including any Patsy Cline songs on my list of top breakup tunes. So this weekend I guess he decided it was high time that we ignorant youth received some schooling in some of the classics of his generation. A little background information about the Finn’s dad — we’ll call him Finn Sr. If you are at all familiar with the Finnish as a people, you will know that even though they often have hilarious, subversive senses of humor, they generally appear fairly stone-faced. If you are not aware of this, hanging out with them can be a little intimidating. Before I met Finn Sr. for the first time, the Finn and his friends tried to prepare me. “It may seem like he doesn’t like you,” they said, “but don’t worry. He just doesn’t smile that often”. I definitely spent the first few years of my relationship with the Finn worried that Finn Sr. thought I was a complete fool, since he’s pretty no-nonsense, and anyone who has met me knows that my genetic makeup is about 80% nonsense. Anyway, over the years I have gradually gotten to know Finn Sr. better and have come to appreciate the depth of his humor and character. He is a very cool dude. This past weekend he was telling me about the Finnish word sisu. There’s no real English equivalent, but basically it means “strength of will, determination, perseverance, and acting rationally in the face of adversity”. It’s a quality that Finns are very proud of. If you want to know more, you can read about it here. (The one example of the Finnish heavy metal singer injuring himself without noticing makes me laugh because it reminds me of the time that the Finn and his brother went out on a winter walk with Finn Sr. When they returned home after an hour and a half of tramping through the woods, Finn Sr. removed his boots and one of his feet was bleeding profusely. He had stepped on a large nail that had embedded itself in his boot and the sole of his foot. “Oh my god, Dad!” the Finn and his brother exclaimed. “Why didn’t you make us stop so you could get the nail out of your foot? ?” Finn Sr.’s reply: “I didn’t want to cut short our walk”. That’s stoicism, people). Anyway, as I was saying, we listened to a lot of music on Sunday night (including some rather spirited Russian folk music) but the two records I enjoyed the most were Patsy Cline and Roy Orbison. 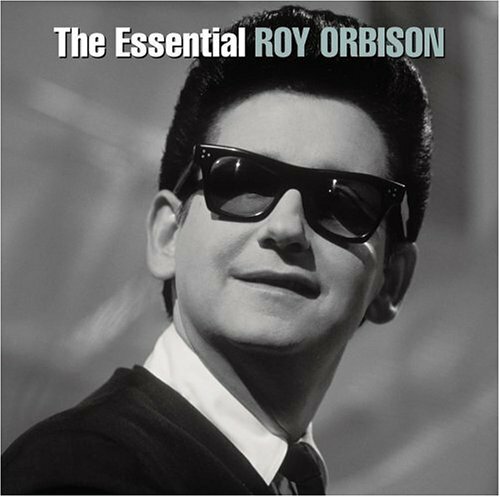 I’ve always liked Orbison — Finn Sr. and I agree that he has the best voice of all time — but I’ve had only a casual acquaintance with Patsy Cline’s music. Well, let me tell you, Finn Sr. is right — no one does ‘hurtin’ music’ better than Patsy. Seriously, the emotion in her voice is incredible, and I love it how pretty much every song is about a man who’s done her wrong but she still loves him anyway. 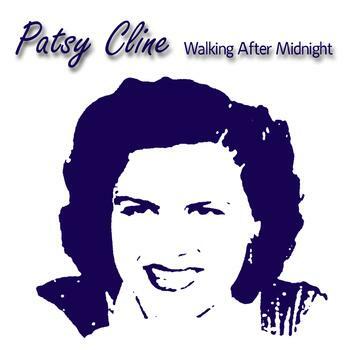 Even the song below, ‘Walkin’ After Midnight,” though relatively upbeat (for Patsy), is still about a woman out in the middle of the night searching for her (presumably misbehaving) husband/lover. You know, life can be tough, kids. But with a little Patsy for the pain, a little Roy for the soul — and lot of sisu — we just might make it through. When I was a kid, the Muppet Show was like, THE SHIZZ, people. I loooooved it so much. 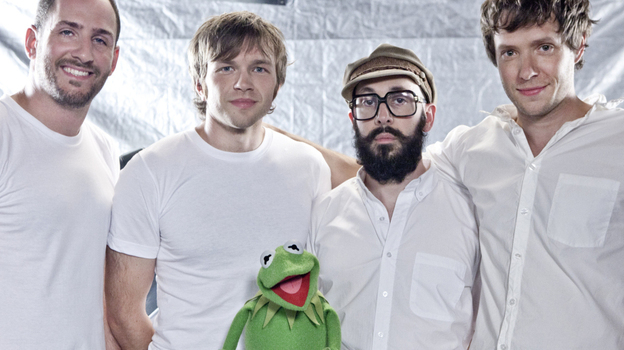 Confession: until about the age of 5 or 6, I TOTALLY thought the Muppets were real! Like, alive & breathing and running around and stuff. I used to have dreams that I was pals with them. I think this is partly due to the fact that my parents found a cassette tape somewhere that was a recording of all the Muppets telling bedtime stories and singing songs. I don’t know where it came from, but it had all sorts of great stuff on it. Each Muppet told a different bedtime story, and I remember particularly liking Kermit’s which involved a prince and a castle and a riddle. Anyway, listening to the tape as I drifted off to sleep was like having a little party in my bedroom every night with characters that came to feel like old, familiar friends. So you can imagine my excitement when I was in a Starbucks recently (like, c’mon Spencer, do you live at Starbucks? Why don’t you just marry it?) 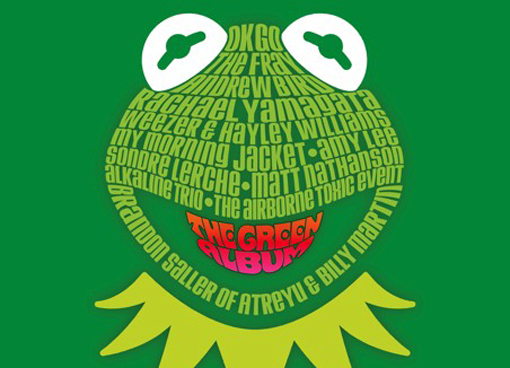 and discovered that someone decided to make a record of bands COVERING CLASSIC MUPPETS SONGS!!! Amazing. Perusing the back of the CD jacket I could see that all the old standards were there — the Muppet Show theme song, ‘Movin’ Right Along’ (one of my faves — in fact I still sing it to myself on a fairly regular basis), ‘Mahna Mahna’, ‘Bein’ Green’, ‘I Hope That Something Better Comes Along’, and, of course, ‘Rainbow Connection’. YOU GUYS. You have no idea how much listening to this record brought me RIGHT BACK to feeling like I was 6 yrs old again. I was amazed to see how many of the songs and lyrics I still remembered, even after all this time. I guess if you listen to something every night for years, it seeps into the old brain channels. Anyway, I think that they did a great job with these covers. 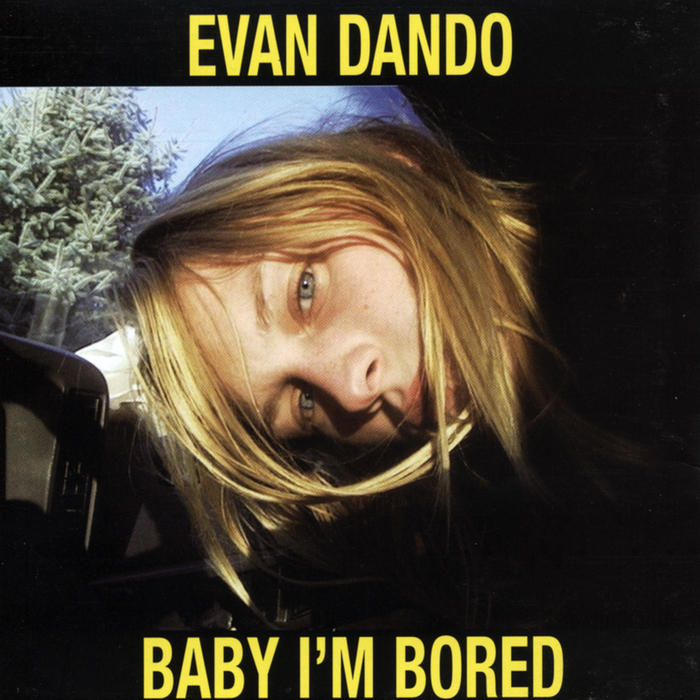 Standouts for me are Alkaline Trio’s version of ‘Movin’ Right Along’, My Morning Jacket’s ‘Our World’, and Sondre Lerche’s ‘Mr. Bassman’, but I would say that the album as a whole is quite delightful. And I would imagine that for you parents out there, this is something you could play for the kiddies. 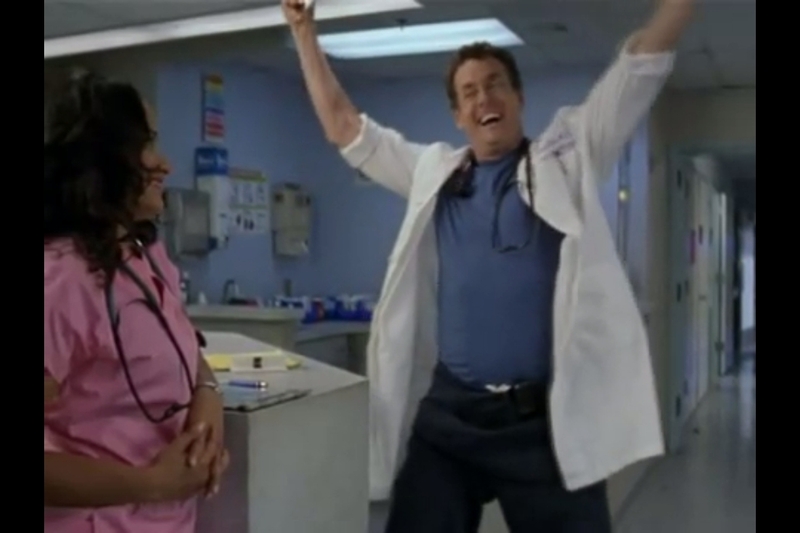 So Happy Friday everyone! This one goes out to all the lovers, the dreamers…and me! **There’s no vid for this one — ya gotta click here to listen! After posting my Song of the Day on Friday, I was accused of having bad taste, a claim that is impossible to refute since I genuinely like the song and have indeed now outed myself as an Enrique Iglesias fan in general (which surely must be the epitome of questionable judgment). However! I would like to share with you two examples of my Song of the Day, ‘Hero’ being employed satirically with highly amusing results. The people behind both ‘Scrubs’ (one of my favorite TV shows) and ‘Hot Tub Time Machine’ (a great movie, with John Cusack in top Cusackian form**) clearly appreciate the over-the-top amazingness of this song, and I think you will be entertained by these topical clips. Enjoy! **Please note that I am referring in this case to ‘Better Off Dead’-style Cusackian brilliance rather than ‘Say Anything’-style Cusackian charm.